The Veterinary Medical Center of Long Island is pleased to announce that Dr. Margaret Puccio, Diplomate of the American College of Veterinary Surgeons has joined our practice team. 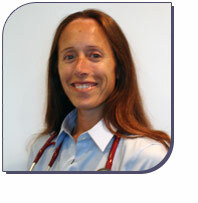 Dr. Puccio graduated from Cornell University College of Veterinary Medicine; during her senior year of studies she received the prestigious American College of Veterinary Surgeons Award. She went on to complete a one-year internship in small animal medicine and surgery at the Animal Medical Center in New York City, and then completed her post-doctoral surgical internship and residency training on Long Island. She was accepted to the American College of Veterinary Surgeons in 2005 and has been practicing veterinary medicine and surgery on Long Island for thirteen years. She has been published in the Journal of the American Animal Hospital Association for her research on canine elbow dysplasia and has received surgical certification in both Tibial Plateau Leveling Osteotomy (TPLO) and Tibial Tuberosity Advancement (TTA). Dr. Puccio enjoys all aspects of soft tissue, orthopedic, neurosurgery, and exotics species surgery. Dr, Puccio has established an excellent reputation for patient care, and communication with clients and family veterinarians. She will complement and continue to uphold the high standards of care set by the Veterinary Medical Center of Long Island.